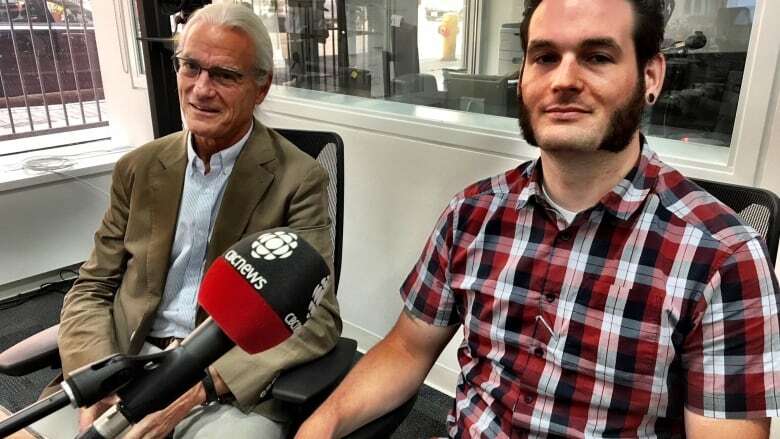 A judge has found two father-son journalists from Aylmer Ont. not guilty in an obstruction of justice case that was condemned by the Canadian Association of Journalists as an "assault on the public's right to know." John Hueston (left) is publisher of the Aylmer Express. Brett Hueston (right) is editor.